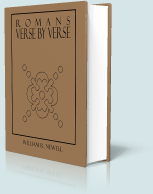 Romans: Verse by Verse, by William R. Newell, is a detailed commentary on the book of Romans that is both practical and devotional. Focused exposition on Pauline gospel of grace. Scholarly and analytical without being confusing and long-winded. Copious footnotes, including information on the historical context of the passages. Difficult passages are thoroughly examined rather than ignored or explained away. "We dare not glory in a man, not even in Paul, whose life and ministry are by far the most remarkable of those of any human being. Yet our Lord Jesus said: "He that receiveth whomsoever I send receiveth Me; and he that receiveth Me receiveth him that sent Me" (Joh 13:20). And Paul was especially sent to us Gentiles." -William R. Newell, commentary on Romans 1. 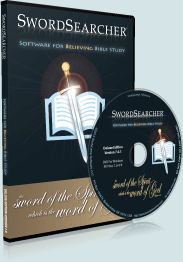 Additionally, Newell's The Spiritual Order of Paul's Epistles is part of SwordSearcher's Harmonies and Chronologies.